Welcome to the TPDAL school playground competition! The Competition is Now Running! 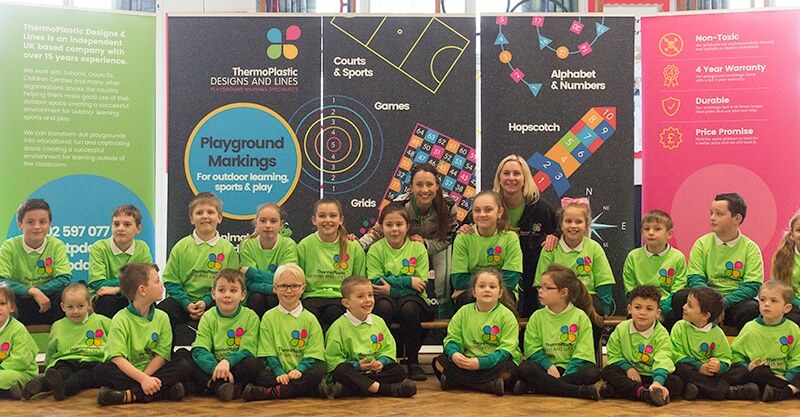 Hundreds of schools are participating and teachers are thrilled to provide their pupils with the unique opportunity to design their own playground game. From pirate ships and undersea adventures, to fairy hollows and secret mazes, there’s nobody better to design your school playground than the children that play in it! Competition closes 30th July 2018! Winner Presented by Rebecca Jackson! There’s still time to enrol your school. If you enter before the 30th April we will accept your entries, but time is ticking. So if you haven’t entered already, make sure you enter right now! Rebecca Jackson is a British television presenter, racing driver, entrepreneur, and motoring journalist and is looking forward to schools participating! It offers a chance for pupils to be engaged in something which will benefit your school. Gain excellent publicity for your school. Get 10% off at TPDAL, just for participating. The rules are simple. Ask your pupils to think of a fun game they would like to see on their playground. Our most popular playground markings include games such as hopscotch, snakes and ladders and mazes. But, we would like to see something fresh and unique designed by the pupils themselves. It’s up to you if you would like to use this exercise as an opportunity to teach your pupils about fitness, maths, language, science or any other subject with an educational benefit. Entries will include a colour drawing of the game with the rules and description attached. This must be in digital format along with the pupil’s name, age and school. Your school is free to invite as many pupils to enter as you like, but we will only accept three designs for each school. So, it’s a great opportunity to hold your own competition, or make it a joint project! All entries we will be collated by our staff at TPDAL. We have CBBC presenter Rebecca Jackson, host of Ali-A’s Superchargers on board to present the winning design, which will provide excellent publicity for your school. We will be issuing press releases to gain maximum media exposure, as we feel this would be a huge benefit for you and hopefully capture the imagination of school children around the country. Simply add the following widget to your website to show your school is participating. This widget will include a link to this page so that parents, teachers and any other interested parties can read the rules, terms and conditions. This must be added by no later than 30/4/18 and our team notified by email ([email protected]) so we can add your school to our list of participants. The deadline for entries is July 30th 2018 and the winner will be announced in September. Everyone here at TPDAL are excited about seeing your entries! If you have any problems or questions please let us know. The competition is open to primary school children from 5 to 11 years of age only. Your entry will not be returned to you once submitted, so be sure to make a copy. When submitting your entry, you must provide the pupil’s name, age and your school. We will only use this information in relation to the Competition and will not use it for any other purposes. Only one entry per child is permitted, maximum three entries per school. 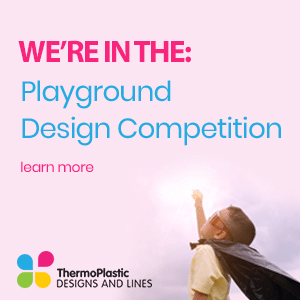 By submitting your entry to the Competition, you give over all copyright ownership to TPDAL who can use your design and concept in future playground markings in any way they wish. By submitting to the competition, you give permission for TPDAL to use your pupil’s name, age and school for the sole purpose of identifying you as the author of the entry. The winner will be selected by TPDAL at their discretion within 4 weeks of the announced deadline date. Sending in an entry to the Competition means that you accept these terms and conditions, which are the rules of the competition. Always check with the child’s parent or guardian that they are happy for you to enter the Competition based on these terms and conditions. Here are the widgets, you will need to add one of these to your school website. Just copy and paste the code in the box below, if you have any problems please let us know. Simply complete the form below to be added to the competition. We have a deadline of April 2018, so please hurry!